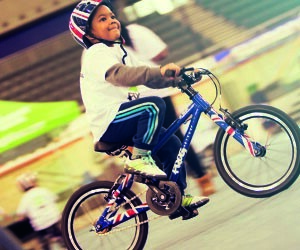 In 2013, Frog bikes set out to revolutionise the way children ride bikes. Having struggled to find suitable, lightweight bikes for their own children, Jerry and Shelley Lawson took matters into their own hands. By partnering with experts at Brunel University, Frog bikes are designed with children's specific geometry, using lightweight aluminium frames & forks to make them super easy for little ones to ride. 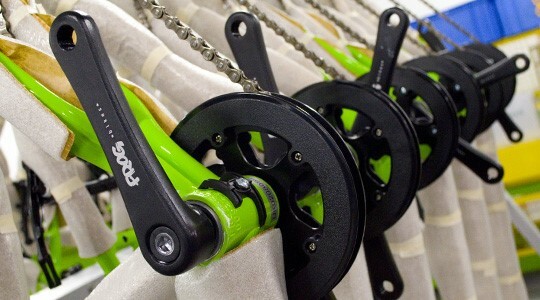 Frog have worked directly with manufacturers to develop children's specific components, including crank arms with a narrow 'Q factor', brake levers suitable for small hands and gear shifters with lower resistance. 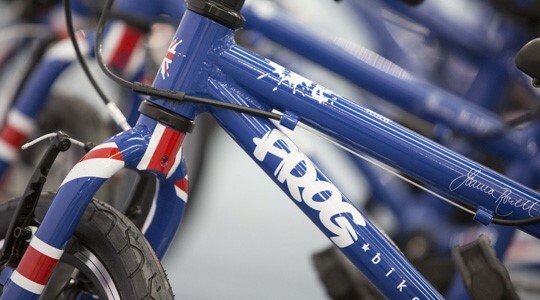 Frog Bikes are designed, inspected and assembled in the UK to the strictest standards, making sure every single bike leaving the factory is absolutely perfect. 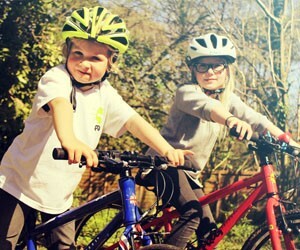 At Frog bikes, they understand that no two children are the same, and age is no reliable indicator for size as children grow at different rates. Therefore, each Frog bike has the size as part of the name. To find the right size Frog bike for your child, simply measure their inside leg in centimeteres and match that number to the corresponding bike. Team Sky are famous for going the extra mile in their quest for cycling perfection. Their extreme attention to detail and perfectionist approach is shared by Frog Bikes, which is why Frog were chosen as the single official supplier of Team Sky kids' bikes. Each model in the Frog Bikes range is available with exciting Team Sky's signature blue line colour scheme, so that your little ones can follow in the footsteps of their cycling heroes. Thinner tubes made from a lightweight material. Frog bikes are easy for young children to handle and can be lifted in & out of a car with ease. Little legs need little bikes. Frog have worked with leading engineers to design child-specific components, giving your son or daughter the best fit and a more comfortable ride. Frog bikes are very affordable, well-engineered bikes. Because they retain their value well, Frog have pioneered their 'Leap Frog' scheme for 2nd hand Frog bikes.